Those are just a few of the numbers to show you exactly how stressed the general population is. 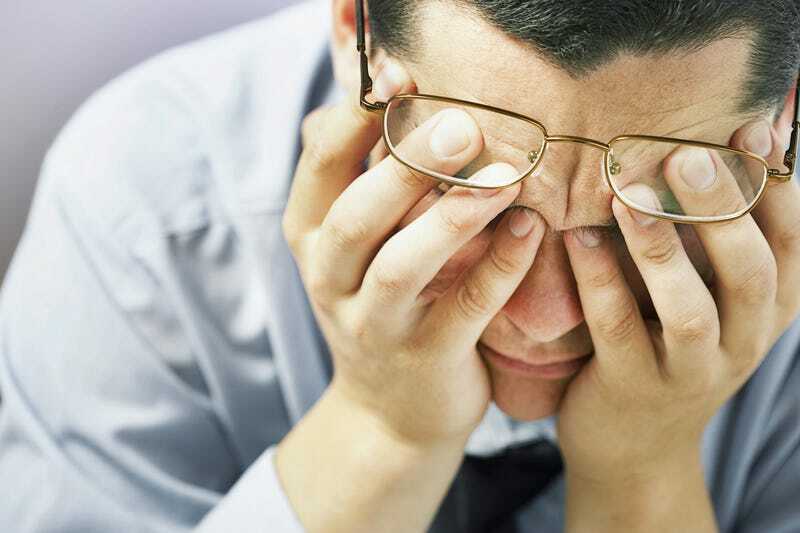 Finances and work are reported as the main reasons people feel stressed. But these stressors quickly spill over from your professional to your personal life when stress affects your overall mood, demeanor, and health. But there are ways to combat stress. And stress is slightly different than anxiety. Stress is your body’s response to a situation. Anxiety is a reaction to that stress. But both can be debilitating. So when you’re faced with extreme stress and are at risk of experiencing anxiety due to that stress, what can you do to combat it? Here are a few techniques that have proven quite effective for me. I am a big advocate for journaling. With so many stressful thoughts running through our minds, sometimes we just need to get them out. Expelling some of the negativity can really help to alleviate your stress. Think of it as venting to a friend! You can take pen to paper or maybe opt for using a computer or tablet. You don’t even need to save the work! Simply get all of your feelings out. Once you’re done, you can either read them over or throw them out. Looking back can offer you some perspective and insight. You can begin to organize your ideas and maybe even notice which ones are valid and which others you can dismiss. This process can you to purge those thoughts that no longer serve you. No technique will work exactly the same for each person. We’re all different, with different triggers for stress and different reactions. But relaxation and mindfulness techniques are a great way to prevent your stress from turning into anxiety and to calm your mind and body. This allows you to approach the current stress with a more level-head and realistic mindset. My favorite type of relaxation technique is yoga. Yoga allows you to become in tune with your body by focusing on your breathing and movement. You’re encouraged to let go of any thoughts that pass through your mind. Yoga is also a form of exercise, which releases endorphins into your brain that signal feelings of happiness. Another great relaxation technique is meditation or mindfulness exercises. These types of activities help with mental clarity, improved concentration, emotional intelligence, kindness, and compassion, just to name a few. When you are more mindful of yourself, you can better handle stress. If you’re already under an extreme amount of stress, there are actually foods, drinks, and other substances that may exacerbate your condition. Believe it or not, but caffeine and alcohol are two of the biggest offenders. You might think a nice cup of coffee will give you a “pick-me-up” or a glass of wine will help calm your nerves, but the opposite is true. Caffeine, along with nicotine, actually acts as a stimulant in your body, which can heighten feelings of stress rather than reduce them. Alcohol, on the other hand, can actually act as a depressant, intensifying your feelings of stress and sadness. This doesn’t mean you have to avoid these items altogether, but when you’re feeling especially stressed, it’s important to monitor and limit consumption. Though there are some substances to avoid when you’re feeling stressed, there are others that may actually help. Did you know that foods like avocado, asparagus, and blueberries actually contain antioxidant properties and other nutrients that are said to reduce stress? Green tea is also another stress reliever that you can drink hot or cold. There’s also a huge market for CBD oils and THC, two cannabinoids found in marijuana that offer a long list of benefits. The difference between these two ingredients is that CBD is nonpsychoactive and THC is psychoactive. This means that CBD does not affect or alter your mind in any way, where THC does. CBD is often used to treat anxiety and depression, offering calming effects. CBD comes in capsules, oil, and even topical forms. The best way to handle stress is to approach it calmly. This isn’t always easy, but it’s an important step in combating your stress and leading a happy and healthy life. You can’t completely eliminate stress from your life, but practicing healthy ways of handling it can make all the difference.